As our readers are aware, we frequently report on food and beverage related matters. After a long, hot summer we thought it was particularly timely to provide a refreshing serving of the most recent beverage-related actions and developments. The Coca-Cola Company has been hit with several class action complaints based on Coke’s alleged false advertising of its products. In one such action, on which we have previously reported, a proposed class filed suit against Coke alleging that it falsely advertised its Diet Coke product because Diet Coke allegedly caused weight gain instead of weight loss. Earlier this year the Northern District of California dismissed the action due in part on plaintiffs’ reliance on support that was “equivocal” as to whether diet soda causes weight gain. The court further held that reasonable consumers would understand that any caloric savings from consuming diet sodas would lead to weight loss only as part of a sensible diet and exercise regimen. Recently, plaintiffs have requested the Ninth Circuit reverse the dismissal of their claims arguing that the district court erred in weighting the scientific evidence plaintiffs presented in the complaint. In plaintiffs’ most recent request, in addition to reiterating their allegation that Diet Coke causes weight gain, plaintiffs further allege that consuming Diet Coke will increase the risk of diabetes. In a second action, a proposed class filed suit against Coke alleging that Coke’s Hansen’s Natural sodas are falsely advertised because the sodas contain artificial and synthetic ingredients, such as citric acid, ascorbic acid, and caramel color. The complaint is based on Hansen’s claims made in both its advertising and annual company reports, where plaintiffs allege that Hansen’s portrays itself as making and selling all-natural sodas and emphasizes the lack of preservatives, artificial coloring and other additives in its sodas. Ocean Spray Cranberries, Inc., has received a class action complaint alleging that Ocean Spray falsely advertises its juices with labels such as “No High Fructose Corn Syrup, Artificial Colors or Flavors.” Plaintiffs allege that despite such labels, Ocean Spray’s juices contain artificial ingredients such as malic and fumaric acid. While both of these ingredients naturally occur in fruits and vegetables, plaintiffs claim that Ocean Spray uses artificial versions of these ingredients in its juices. Plaintiffs argue that a reasonable consumer would understand Ocean Spray’s label to mean that its juices contain ingredients that are derived from a natural source, as opposed to their artificial equivalents. Last year, Ocean Spray prevailed in a matter based on adjacent claims, when the Ninth Circuit denied certification to a proposed class who brought claims alleging that Ocean Spray falsely labeled its juices as having no sugar added. National Beverage Corporation, the maker of LaCroix Sparkling Waters, has received a class action complaint alleging that LaCroix falsely advertises and labels its sparkling water as “100% Natural”. Plaintiffs allege that despite such advertising and labels, LaCroix contains synthetic and artificial compounds such as limonene, which is alleged to cause kidney toxicity and tumors. The class action complaint comes shortly after National Beverage announced this summer that it had achieved record profits and generated $1 billion revenue. Arizona Beverage Company, LLC has received a class action complaint alleging that Arizona falsely advertises and labels its beverages as having no preservatives. Plaintiffs allege that despite such advertising and labels, at least 22 Arizona beverages contain preservatives such as citric or ascorbic acid. Arizona has prevailed in previous class-actions where plaintiffs alleged that Arizona falsely advertised its beverages as being all natural, while allegedly containing high-fructose corn syrup and citric acid. 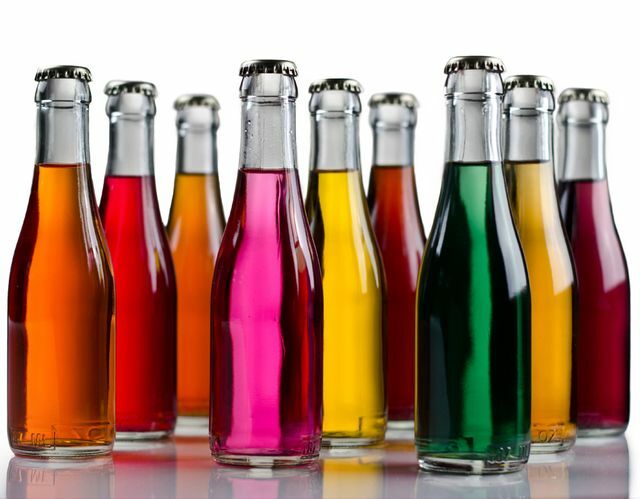 The City of San Francisco has requested that the Ninth Circuit, en banc, revive an ordinance requiring health warnings on sugar-sweetened drinks. The ordinance at issue required advertisements for sugar-sweetened drinks sold in San Francisco to include, in part, the following statement: “WARNING: Drinking beverages with added sugar(s) contributes to obesity, diabetes, and tooth decay.” A three-judge Ninth Circuit panel had previously blocked the ordinance, finding that the mandated warning unduly burdened and chilled protected speech The Ninth Circuit panel also held that the mandated statement conveyed the message that sugar-sweetened drinks contribute to obesity and diabetes, regardless of the quantity consumed and other lifestyle choices. In its request to the Ninth Circuit en banc to revive the ordinance, an attorney for the City of San Francisco indicated that the city would be willing to revise the warning to provide more specifics regarding the risks of consuming sugar-sweetened drinks.